I was browsing albums, when I stumbled upon this album cover by Elliot Tupac. Of course, for those in the know, you’d know that’s a super Chicha style type of typography , so interested to see what it was all about, I did a quick search. You’d be happy to know you can stream all of the EP Cuatro Tigres on Soundcloud, as well as their new album Canibalismo. 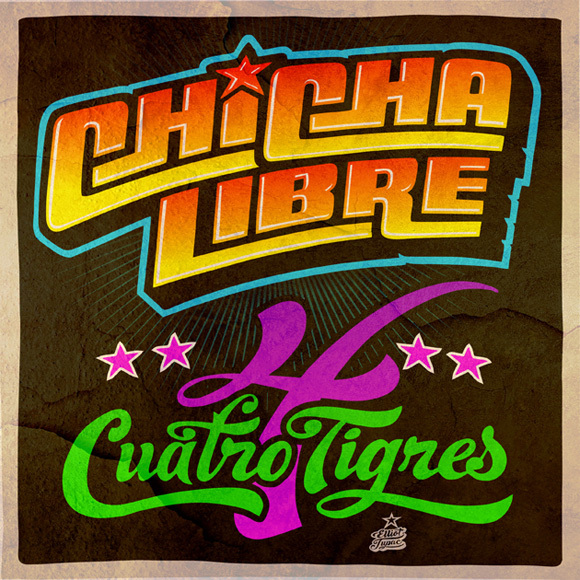 Chicha Libre is a multi-ethnic Brooklyn-based group formed by Americans, Mexicans, Venezuelans and French musicians mixing Peruvian Chicha music with 60s psychedelic music and stuff. It’s pretty trippy. I never in my life would’ve thought that I’d be sitting through more than one album of Chicha music. The most interesting thing is that there’s no Peruvians in sight on core members of the group. You can check them out on Facebook or Twitter. I’m not entirely a Chicha convert, but I appreciate the variety in the concept of the group. I do think they sound a lot like Chicha groups, but sing in English instead. Novelty, but it gets a bit tiring by the fourth track. Conveniently, the group was asked to do a The Simpsons tune for one of the episodes. Escape Plan (逃跑计划, Tiao Pao Ji Hua), aka. Perdel Band. Spotted on CNN Travel… as always . Their Rock in China page isn’t up to date, but it’s always a good spot to start with. 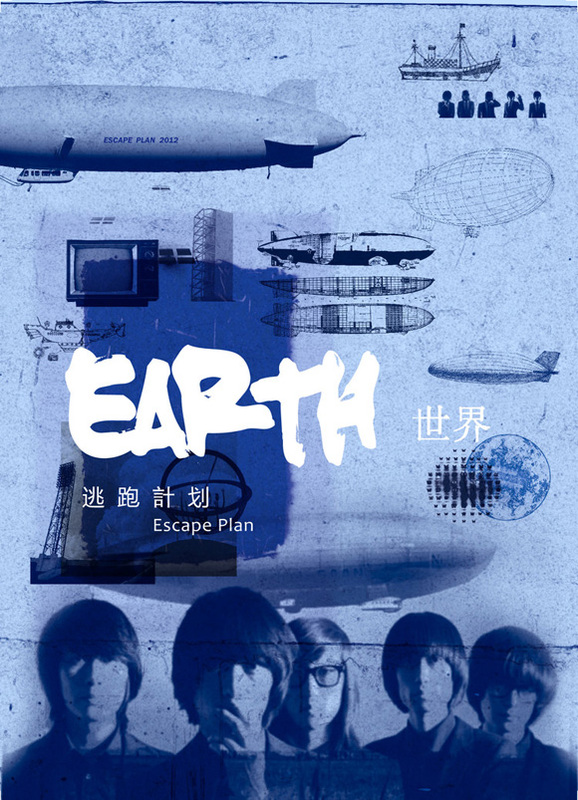 Besides their 2008 EP titled Take Me Away (带我离开), they released a full length album in early 2012 titled Earth (世界), which contains all the songs from their EP in more slick production, as well as a version of Zaijian Zaijian (再见再见) with lyrics instead of the instrumental piano. You can preview web shorter versions of their album on their Douban page or Weibo Music.